In a world where everyone is trying to offer you digital marketing, how are you supposed to navigate what you need and what you don’t? If you’re a small business owner you’ve probably heard the terms SEO, SEM, PPC, and a bunch of other acronyms you may not understand. They may or may not also be accompanied by a marketer promising you the world. In reality, all you may need are local SEO packages designed specifically for your business needs. Finding out exactly what you need in those packages can feel like a full time job. This past week I was talking with a family friend about their business and how they’re constantly bombarded with options. While I was talking about it with him, it dawned on me that I never thought about all of the packages available. A lot of marketers try to fit each client into a cookie cutter box, with a number of options and add-ons available. Some will even try to sell you there services without taking the time to get to know your business and your exact needs. Yea, it happens to a lot of people at one point or another. So we’re sitting down to help you navigate local SEO packages, what to expect when working with a local SEO, and what to look for in a local SEO. Before submitting your information to any website or marketer, take the time and comb over these three rules. I’m writing them exactly how I would look for a marketer (if, of course, I weren’t one). These rules also apply to people looking for content marketing, traditional SEO, social media marketing, and search engine marketing. So basically, the whole digital marketing gamut. 1. Does this person have a good reputation? If their website isn’t the greatest, it’s not the end of the world. But it shouldn’t look like it was made in the ’90s either. It may sound superficial to judge a company based on this, but think about it this way. Would you actually buy a “Rolex” from the man trying to sell it to you at the barbershop? Probably not. So why place your business in the hands of someone who doesn’t put the time into their own website? Or, if you want another way of looking at it, if their website doesn’t function properly or the site isn’t compelling, what do you reasonably expect from them? Do they have quality reviews speaking on their behalf? Do they have reviews either on their website or in public places such as Facebook or Google? There’s ways to manipulate all three, but it should give you a sense of reassurance if they have real people attaching their names or faces to a review of the company. Read the negative reviews too. What was the problem this person had with the business? Most local SEO packages will offer some form of brand management – i.e. burying negative reviews by getting positive ones, discussing the issues with the negative reviewer, offering some kind of solution, etc. If the digital marketer you’re looking at isn’t doing one of those three things than there’s a problem. Again, if they’re not taking the time to do it for their own business, do you expect them to do it for you? Most marketers will feature client reviews right on their homepage because they’re super proud of what they accomplished – like us. Who do they currently represent? Finding out a marketers current client list can be kind of hard if they don’t display it publicly. 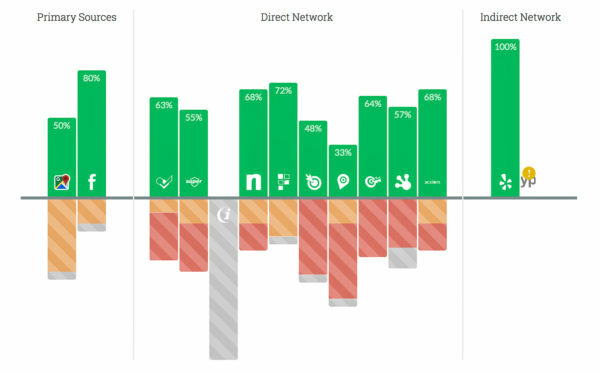 But most digital marketers worth their salt are going to prominently feature their clients via case study. Take a look at our case studies for some examples. Go to the client’s website – especially if it’s in your field. Do you like what you see? If yes, they may be a good match for you. If not, they may not be. 2. Does it seem like they need you more than you need them? The first can be beneficial at times because it might mean they’ll put everything they have into your project. They want your project to succeed because it might be the difference between keeping their lights on and their business going under. It might also mean that they’re not very good at what they do and so that’s why they don’t have any clients. If it seems like they take on any client regardless of whether or not they’re a good fit, they’re in it for the money. That’s why we have each potential client fill out a brief questionnaire. If you’re not a good match for our business there’s no point in working together. 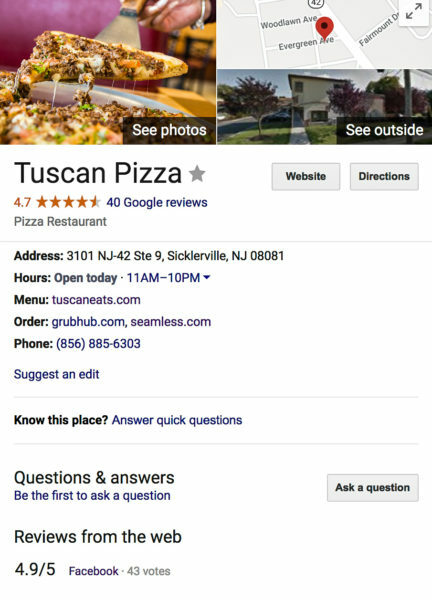 How do we know know if we’re a good match for your local SEO needs? That brings me to my next point. At The Content Group, we are very transparent with our clients. It’s the reason why so many people choose to work with us. Our clients, though, understand this is a two way street. Before we begin any project we always ask – what are your expectations for this service? 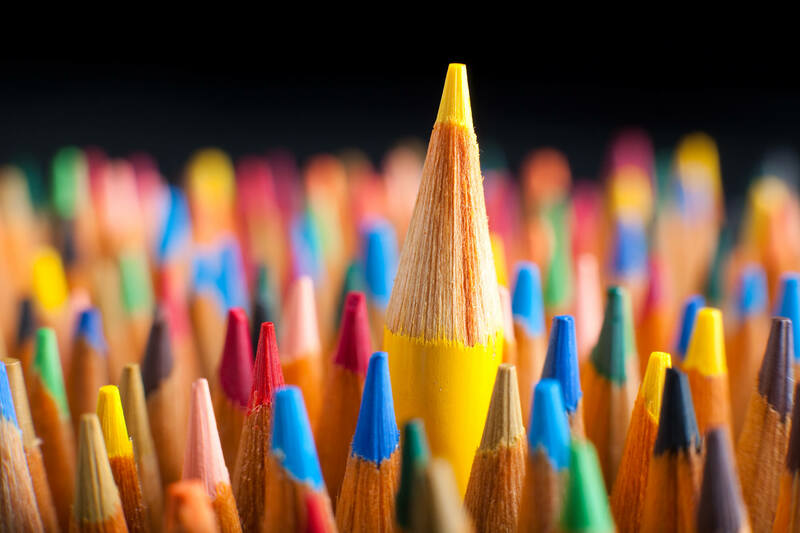 If your sole expectation is to climb the ranks of Google and become number one for your niche, you’re going to be disappointed. It is very possible to achieve such success, but it takes time (how much time? it depends on your market and competition). Do you plan on hiring a marketer for their local SEO packages and then expect results in one month or even three? Again, this isn’t going to happen. SEO, perhaps more than any other form of marketing, requires a lot of attention and nurturing. If you grow the project the right way it has the chance to yield benefits for years. If you rush into things and do it poorly, you’re only going to hurt your business. Do you have a budget for local SEO? If you’re trying to pinch pennies and squeeze every last drop out of SEO on a very small budget you’re setting yourself up for failure. Good SEO isn’t cheap and cheap SEO isn’t good. It’s not uncommon to find SEOs charging over $100 an hour for consultations – so expect equivalent prices if you’re going to keep them on retainer. If this sounds like you, and there’s nothing wrong if it does, it might be better to spend your time learning the fundamentals of local SEO and implementing what you learn. 4. What are they offering? If something within their local SEO packages doesn’t make sense to you, you can always ask what it means. But the very basics you should be looking for are Google My Business optimization, local SEO citations, landing pages, keyword research, and schema markup. My Business is Google’s way of managing how your business appears and performs in the search engine. It’s an essential tool and most likely be one that they offer first and foremost. From My Business, your local SEO can adjust how your site shows in the Knowledge Graph, Google+, Maps, and organic search results. For many, Google My Business continues will be the biggest driver of local SEO success. So make sure whatever local SEO packages you look at include this service. From My Business, the local SEO can manage your NAP (name, address, phone) details, hours of operation, photos, and manage customer reviews. As we covered, reviews are a key factor in local SEO and should be something you look for in any local SEO package. Having inconsistent NAP details can really harm your business. Google puts more emphasis on businesses that use the same details across many citations (yellow pages, alignable, local chamber of commerce, etc). Make sure the local SEO you’re looking to hire offers a service where they manage your NAP details. You can check your detail consistency by using a tool like Moz Local. While it’s not a perfect tool, it should give you an idea of where you need to fix errors. The free version works fine for most small business needs, but a paid version is available. 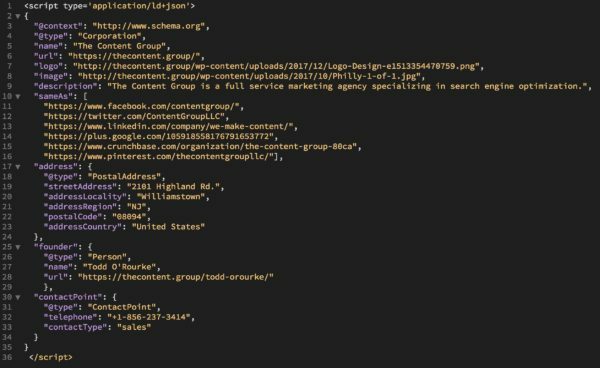 No matter what type of business you run, you’re going to need Schema.org markup on your website. Schema markup is code (typically JSON-LD or microdata) that you put on your website to help search engines read your content. This allows them to provide their users with more informative results. You’ve probably come across rich results (formerly “snippets”) and these results are due to schema markup. A lot of local SEO packages won’t include structured data because it is slightly difficult to work with, but make sure the package you choose has markup. You don’t want to miss out on putting your information in front of even more customers. Now that you know what to expect from your local SEO, make sure that the person you choose is a good fit for your business. There’s nothing wrong with asking questions when you don’t fully understand what you’re being charged for. If they don’t want to answer your questions, it’s time to move on to the next agency. Always make sure that the local SEO package you choose includes a monthly report. This will help make sure your money is being spent wisely and reports keep everyone honest. Want to work with us? Just click the button below and fill out the contact form.